Could members who are leaving trailers at the club please ensure that they are clearly marked with the name of the owner to avoid any confusion about ownership. This applies whether your trailer is in a berth or in the trailer park. SUNDAY 11 JUNE ADULT KICKSTARTER: Sunday morning's Adult Beginner Racing Session is CANCELLED as we have not had sufficient interest to run it. If you would like to attend a session like this in the future, please email sailing@ripon-sc.org.uk so we can gauge interest. Thank you. 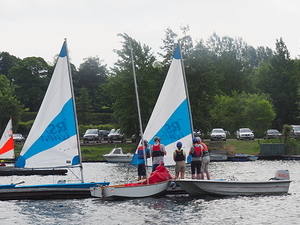 Well done to a fantastic group of new sailors! WOW! £526 raised, and a fantastic array of prizes handed out. Paul and Helen were very touched by the support shown and have asked us to pass on their thanks. Watch out for Dennis, who will no doubt be busy practising driving his remote controlled Volvo XC90 at the club soon! 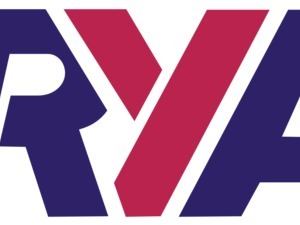 Iain King, Clair Ranns and Lynn Morris on gaining their Level 2 RYA Dinghy certificates, and to Harvey Walker, Matthew and Ollie Tindley on gaining their Stage 3 RYA Dinghy certificates. Well done! Members have been asking when the RSC weather station will be back online. Well, the wait is over. You can now access the weather data live (15 min intervals) via this link - weather.ripon-sc.org.uk We hope to have the data screens in the club up and running in the next few weeks. Our new early season coaching sessions with Race Coach Bernard Clark, now named 'BANTER' (Beer And Nattering on Thursday Evenings about Racing) got underway on Thursday 27 April and will run for a further 3 weeks. The first session was land based and the team enjoyed a session which covered race prep, including the need for both boat and helm/crew to be race fit, starting sequences and the importance of being 'on the line'.